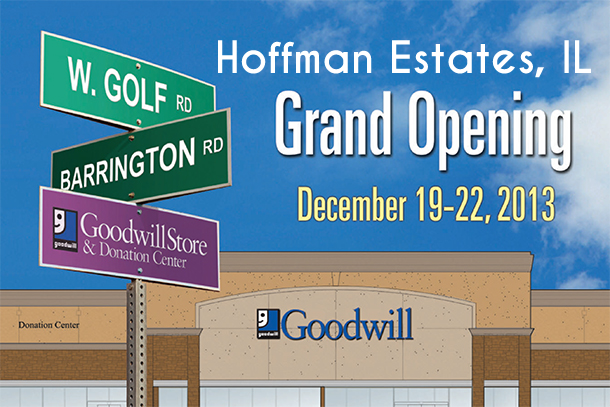 Join us as we celebrate the Grand Opening of our Goodwill Store & Donation Center at 2535 W. Golf Road in Hoffman Estates, IL on December 19th-22nd! Doors open at 8:00 a.m. on Thursday and 9:00 a.m. Friday-Sunday. Want to take in a show at the Milwaukee Chamber Theater? 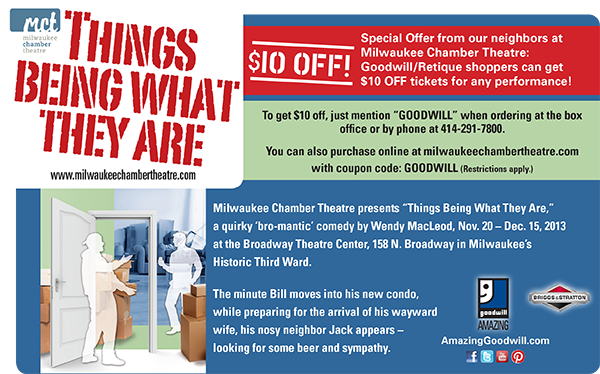 Now, all Goodwill and Retique shoppers can receive $10 off tickets for any performance of "Things Being What They Are." Simply mention "Goodwill" when ordering at the box office, by phone or online. Visit milwaukeechambertheater.com for more show information.